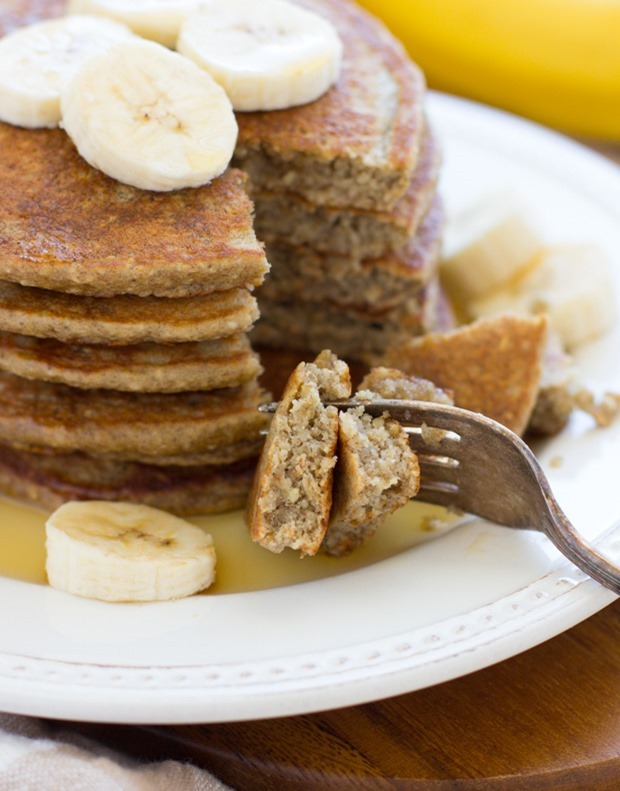 These Banana Oatmeal Pancakes are light, fluffy and naturally sweet! 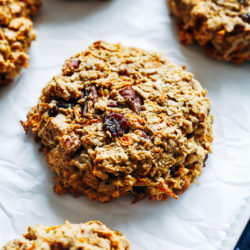 They’re made easy in a blender and are gluten-free and dairy-free. Thank you guys so much for all of your sweet birthday wishes! I’m writing this on Sunday night and we just got home from riding bikes around San Francisco all day. The weather was perfect, it was nice and warm without a cloud in the sky. We had so much fun and I couldn’t have asked for a better way to spend my birthday. On to more important things, as exhausted as I am right now, I’m still so excited to share this recipe with you! I have a strong feeling that you guys are going to love it because it’s very similar to my muffin recipes. Except the texture is much lighter because we’re making pancakes, obviously. I actually tried several times to convert that muffin recipe into pancakes without success and then, after doing a little bit of research, I stumbled a recipe from the King Arthur Flour Whole Grain Baking Cookbook (via Cookie and Kate) that uses similar ingredients. I adapted that recipe and tried making it in a blender like I did the muffins and wouldn’t you know, they turned out PERFECT. Their recipe uses butter but I tried it with both nut butter and coconut oil and the results were much better with coconut oil. I tried to take it even further by only using one tablespoon of coconut oil instead of two and unfortunately they were not as good. They were very quick to burn so I recommend sticking with two tablespoons. Overall they have a naturally sweet flavor with a wonderful light texture and they’re incredibly easy to make. I’m telling you, you have to give them a try! And of course, if you do please let me know by leaving a comment below or sharing a picture with the hashtag #makingthymeforhealth. It always makes me so happy to hear from you! Combine the almond milk and the apple cider vinegar in a small measuring cup and set aside for 5 minutes. Add the remaining ingredients to the blender then add the milk last. Blend on high for about 15 seconds, or until ingredients are well combined. Allow the batter to sit for about 5 minutes while you warm a skillet over low heat. This allows it to thicken some for fluffier pancakes. 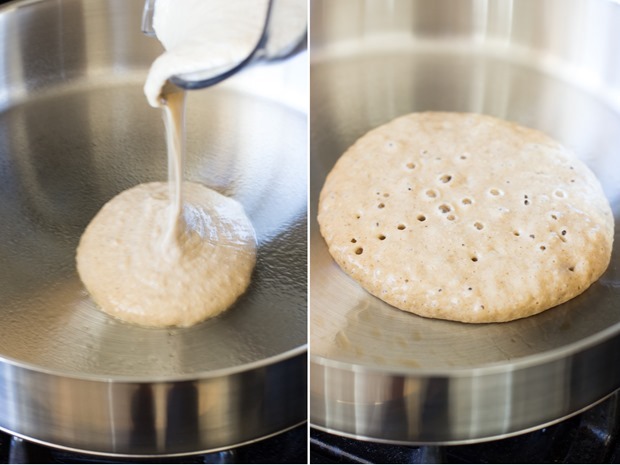 Pour a small amount of the batter into the skillet and cook for 2-3 minutes, or until bubbles form around the edges of the pancake. Flip it on the opposite side and continue to cook for another 2 minutes. Repeat this step until all of the batter is gone. 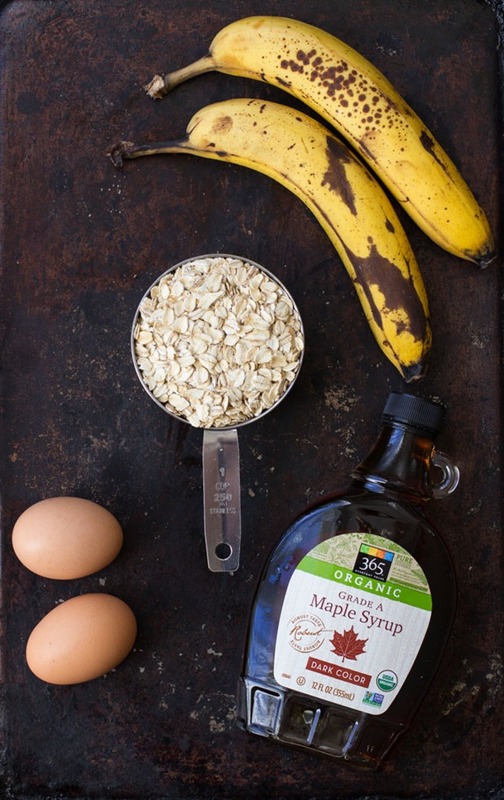 Serve warm with fresh sliced bananas and pure maple syrup and enjoy! Leftovers can be stored in the refrigerator for up to 2 days. I have not tried freezing them yet but please let me know if you do! Happy Birthday, Sarah! I’m so glad you had a wonderful day! Wishing you a year filled with many wonderful adventures and fun surprises. Thanks Kelli! I only snapped half of it because I started struggling for the energy to make it back, lol! Yaaaaay, I’m so glad you had a nice birthday! Now I want to saddle up my bicycle and ride around SF, too! So many things to see and foods to eat in that city! 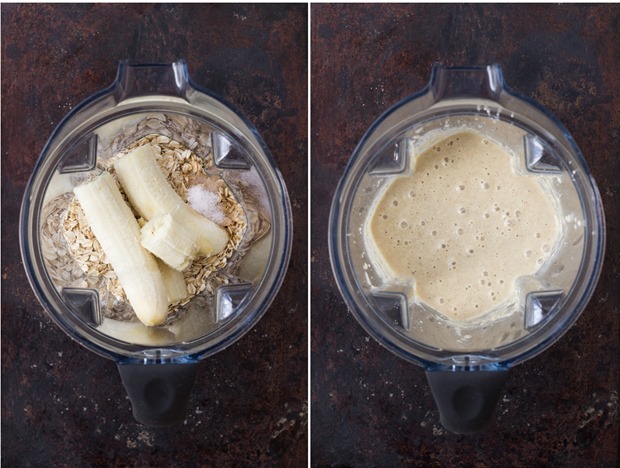 Bring on these blender pancakes. I say bring.them.on! Biking around SF sounds like an awesome day. So glad you had a good birthday! I haven’t made pancakes in forever. These sound awesome! Happy birthday! These pancakes look so wonderfully fluffy! I missed your birthday!! Happy belated birthday! Hope it was a good one my friend!! 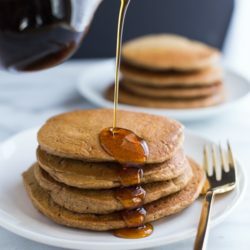 These pancakes — they need to make an appearance in my life! Beautiful pics! Happy belated birthday! Sounds like you had a wonderful time celebrating it! I’m eyeing these pancakes with envy. They look and sound delicious! I’m glad to hear that you had an amazing birthday, Sarah! And I hope that the coming year is your best one yet :) Also… you totally just gave me a huge craving for pancakes (these look amazing! ), so I’m thinking brinner is on the menu for tonight. Mmmm there is NOTHING better than making something in a blender and it coming out exactly as you hoped for. 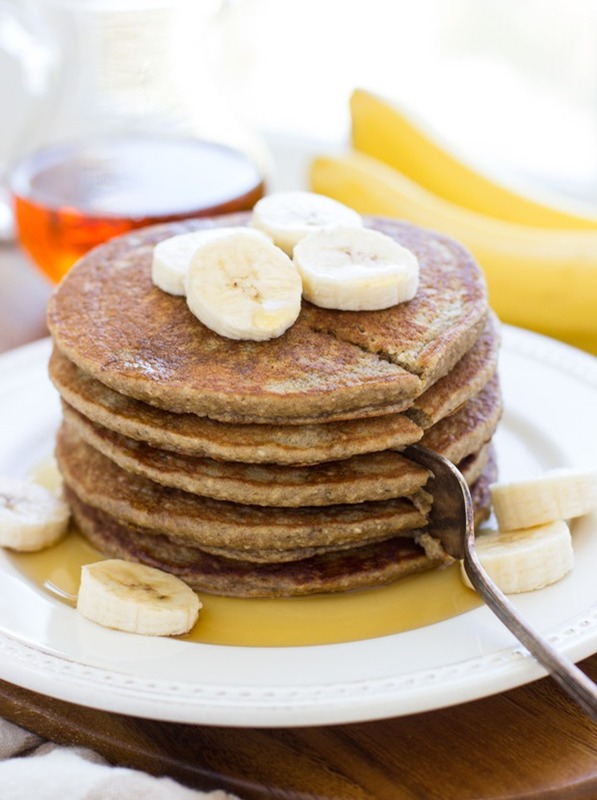 Love how easy these pancakes look and big fan of the oats in place of flour. Happy Belated!! 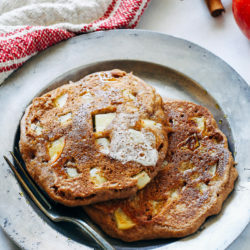 This looks very similar to my go-to recipe for pancakes, except the addition of apple cider vinegar! The texture of these look spot on so I’ll have to use that trick next time. The ACV kind of acts like a buttermilk in this recipe. It makes them taste so good! These look so delicious! I’m always on the lookout for good pancake recipes that are gluten free. I can’t wait to try this one out! Thanks Christie! I hope you love them as much as I do! 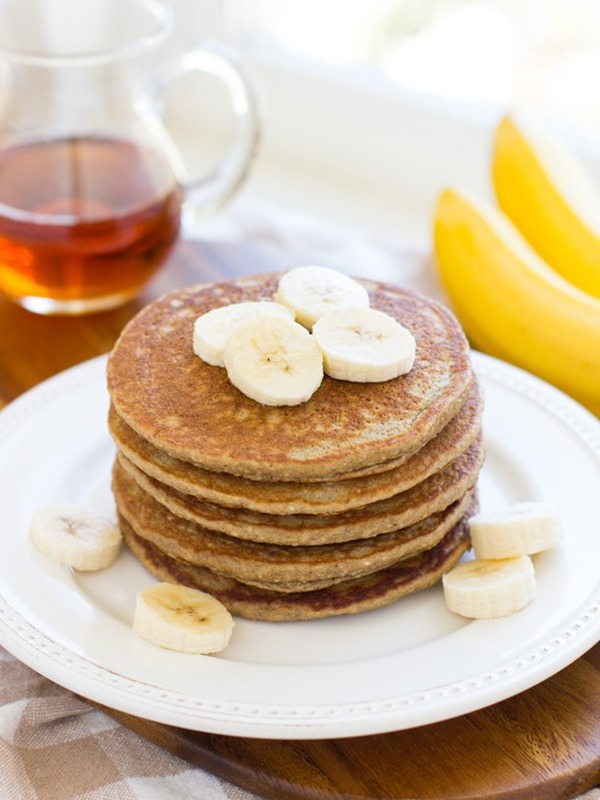 Banana pancakes are my favorite but I am trying to eat gluten free and diary free so I don’t even think to make them. This is a perfect recipe for this weekend! Awesome! I hope you like them, Mattie! So glad you had a great birthday!! You now have me craving pancakes at 9:00 p.m….that’s a problem! ;) They look absolutely perfect! Happy belated birthday lady!! Hope you had a great day. 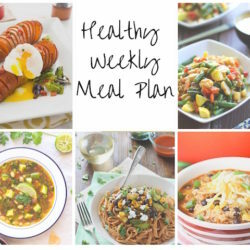 Healthy recipes of my favourite foods are always winners for me.. 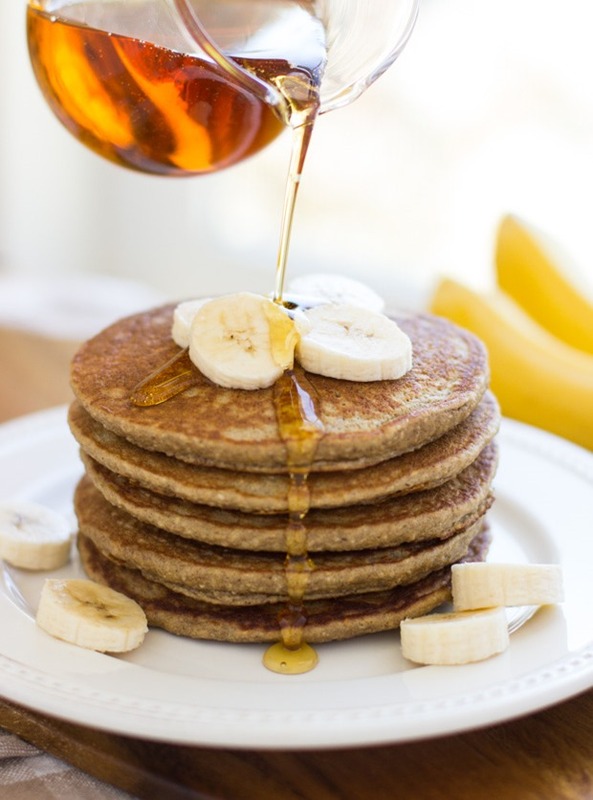 I must make these banana pancakes! They look super delicious. OMG I’m a terrible person for missing your birthday. I hope it was filled with buckets of vegan queso and flourless blueberry muffies!!!! Wishing these pancakes were in my face EVERY.SINGLE.DAY. Yum! Doubled the recipe and used 1 c. GF oats, 1 c. teff flour, and 1/2 c. tapioca flour, 3 bananas in the mix. Topped with sliced banana, chopped cooked uncured bacon, chopped pecans, and maple syrup. Wooowee! And I loved mixing it all up and pouring it from the blender. Great! 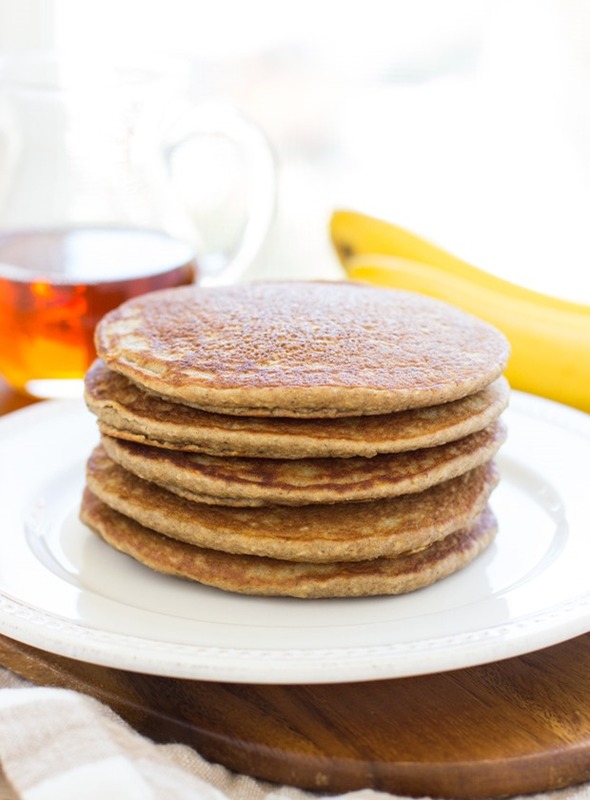 Got up this morning wanting pancakes made with oats & banana and these were just the thing. Turned out really good. I topped them with 2 tbs maple syrup, 2 tbs walnuts & 2 tbs plain Greek yogurt. 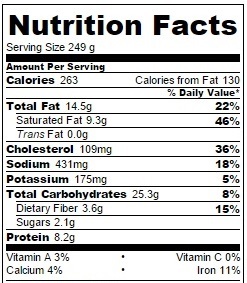 That brought the calorie count to 425 for two pancakes, but no need for butter and soooo good! I did need to cook them at slightly lower heat and just a tad longer than usual pancakes because they brown very quickly. I just made these and they reminded me of banana bread my grandmother used to make! so yummy loved the apple cider vingear in it too!!! Always looking for new gluten free recipes for breakfast favorites- All I can say is WOW! These pancakes were so delicious and are definitely going to be a new staple in our home. I feel good knowing every ingredient that goes into them. I froze them too and they still tasted just as good! Thank you!! Great recipe. Used regular milk instead of almost milk. Added chocolate chips. Delicious! I’m so happy they turned out well for you, Krystal! Thanks for the feedback! Made these this morning and loved them! 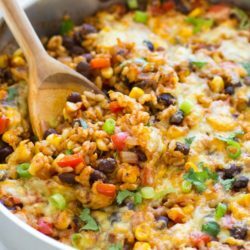 Super easy and oh so delicious. I’m glad you enjoyed them. Thanks Kelli! Hey! Thanks for the recipe! So glad to hear they worked without the egg! Thank you!